gosh how heartwrenching must this photo be? I'm glad to see one where dull blonde/brown is considered as this happened to me where was white blonde for many years and darkened then. Anything is possible. I just hope he is safe and happy somewhere. Ben Needham was last seen on the Greek Island of Kos on 21 July 1991. When last seen Ben was 21 months old. He had blue eyes and blonde hair. His family were from Sheffield. They have never given up hope of finding him. His mum Kerry Needham Grist was only 17 years old when she gave birth to Ben, she says being a mum at that age was frightenig She didn't have a a job at the time but from the moment her doctor confirmed she was Pregnant she was so happy!!! Ben loved being the centre of attention, he was always playing, always smiling and he was always happy!!! He was funny, loving, sometimes naughty, he was everything in a child you could have wished for, He was Kerry's angel!! When Ben went missing the family were living on the greek island of Kos, Kerry often left Ben with her mum Christine while she went to work. Her father and brother were working on a house for a Greek man as they were in the building trade!! Ben was playing just outside the farmhouse toddling about!! At 2.30 that afternoon her brother left as there was no more work for him to do!!! Ben was still playing just outside the farmhouse door!!! Christine took her eyes off Ben for just a minute while she went inside the farmhouse!! Moments later she noticed he had gone very quiet!! She went out to the door and Ben wasn't there! he has just vanished completely. Christine thought he had just wandered down the lane but after 4 hours it became clear he had disappeared and the police were called!! A promising lead was discovered the next day, local builders saw a white car on the lane around the time Ben went missing. A lengthy investigation into links between Ben and the car found nothing!! Ben's sister Leighanna, who was born after Ben's abduction now helps to continue the search for her brother!!! The family is determined to do what ever it takes to find Ben!!! Kerry doesn't believe that the Kos police were equiped to deal with an abduction case!! "Through no fault of their own they were island police and were not trained, they were not FBI, they were not CID, they were just island police officers used to dealing with tourist crimes, not a child abduction, not murders!!!!" Mistakes were made in the first few hours, ferrys leaving the island were not searched and it took 2 days to alert the airport!! There have been a few occasions when they thought the search was over but each time the child in question turned out not to be Ben!!! Ben's case has now been brought into the 21st century with the use of the internet to get information out to as many people as possible!! 20 Years on Ben's mum is still haunted by his disappearence!! Kerry and leighanna now believe he may find them rather than them finding him due to all the latest technology!!! Ben could be anywhere in the world!!! The second photo above shows what Ben may look like now!! so sad and so true, it is likely if alive and well he will find them. Hope so. THE mum of missing Ben Needham is hoping an appeal by Madeleine McCann’s parents to David Cameron will lead to help finding her son. Please click on the thumbnail image below to read the poignant letter from Ben's mother to Prime Mininster David Cameron. Will it have the same success as Madeleine McCann's case? That remains to be seen. But we wish Kerry Needham and her family the best of luck as they continue with the search for Ben Needham. Breaking: Missing Ben Needham may be with childless gypsy, claims doctor‎. MISSING Ben Needham, snatched on the Greek holiday island of Kos 20-years-ago this week, may have ended up with a childless gypsy woman, says a doctor who believes he spoke to the toddler. He came into contact with the little boy again a few months later, when the child ran towards him but was pulled back by the woman he was with - a former patient of his who could not have children. The doctor reported it to the police at the time but he says they took no action because no crime had been committed. Now they are taking an interest after he came forward again when Ben’s story was told on the hugely popular Greek TV show called The Light At The End Of The Tunnel - which reunites missing people. Presenter Angelica Nikolouli dedicated half of the three hour show to Ben’s disappearance. 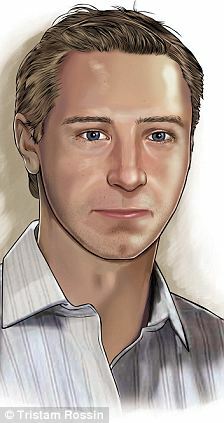 It featured the Greek version of the Help Find Ben Needham Facebook site and pictures of how he might look now. His disappearance also made national news headlines the next day, after the campaign was highlighted this week by Calendar TV. The doctor described coming into contact with a boy who he now believes was Ben. THE mystery disappearance of British toddler Ben Needham 20 years ago is being looked into again by Greek police. A retired doctor has come forward claiming he saw a blond-haired tot who spoke a few words of English soon after Ben vanished. Ben, then aged 21 months, disappeared as he played outside the farmhouse his grandparents Eddie and Christine, were renovating on the island of Kos in 1991. Now, after a new appeal on one of Greece’s most popular TV shows, retired consultant gynaecologist Sotiris Papachristoforou says he may have seen Ben. He told police at the time of the sighting but says they were not interested. THE mum of a Sheffield toddler who went missing in Greece 20 years ago this week is calling for a fresh investigation after a new lead emerged which could hold the key to his disappearance. Ben Needham vanished suddenly at 21 months old while on the Greek island of Kos in 1991 - and despite dozens of possible sightings, no trace of the missing child has ever been found. But following a new appeal broadcast on Greek television, a retired doctor has come forward to reveal that a boy fitting Ben’s description visited his hospital months after he disappeared. ‎Twenty years after the disappearance of her son on the Greek island of Kos, Kerry Needham has launched a new appeal for information. Ben Needham vanished in 1991 while on holiday with his family. Earlier in the House of Commons her MP Angela Smith asked the Foreign Office to meet and discuss the case. Ms Needham, from Sheffield, asked again for people to check their holiday photos and videos and released a picture of how Ben may look today. She also wrote to David Cameron recently asking him for more resources to help find her son. Talking about the anniversary, she said: "We treat it as just another day, it's no more painful than any other day we've been living for the last 20 years. "What we're trying to do is mark the anniversary with another appeal - asking the public if they were in Kos around the 14th July 1991, check their photos, check their videos. Ben may be in the background." Interpol and Greek police have launched a fresh investigation into the disappearance of British toddler Ben Needham 20 years ago. A retired Greek doctor has come forward claiming he saw a blond-haired toddler who spoke a few words of English soon after Ben vanished. Now, after an appeal on one of the most popular Greek TV shows, retired consultant gynaecologist Sotiris Papachristoforou said he may have seen and spoken to Ben. He said he told police at the time of the sighting in the town of Larissa, but they were not interested because he had not witnessed a crime. He said: 'He was with a Greek woman and said his name was Ben. It was about February or March in 1992. An appeal on Greek television has offered fresh hope of tracking Ben Needham, the British toddler who mysteriously disappeared on the Aegean island of Kos 20 years ago. Greek authorities say they have been encouraged by the revelation that a retired doctor may have met the missing boy shortly after he vanished while playing outside his grandfather's home. Appearing on a show that specialises in finding missing people, Sotiris Papachristoforou said he was sure Ben had been brought to the hospital he worked at in the central town of Larissa. The former consultant gynaecologist said he engaged the blonde, blue-eyed toddler, who was accompanied by a Greek woman, and asked what his name was. "I was surprised to see this tourist family boy looking at me and I said hello … he said to me 'my name is Ben'," Papachristoforou said. "He was about two-and-a-half years old. I didn't know the missing boy was called Ben at the time. He looked at me but didn't say anything more. He probably didn't know anything more to say." The medic said he spotted the child again a few months later in a Roma camp close to the hospital with a woman who he knew was unable to have children. He was so surprised he reported the sighting to the police. It must be truly a nightmare, waiting all this time. Thank you Kerry, the song is doing very well on You Tube right now. Lovely to have you with us at our forum. You have all of our support here at the Find Madeleine forum. May Ben be reunited with you soon! A NEW song written to raise the profile of the hunt for missing Ben Needham has been launched to the public worldwide. 'For the first time I believe the police want to find my son': Ben Needham's mum tells of new hope 21 years on. Mum Kerry is still seething about the bungled Greek police hunt for her missing son Ben Needham. Kerry says that in the vital hours after Ben’s disappearance was reported at night, just a handful of blundering officers arrived to look for him in the Kos countryside. Fields surrounding the house where he was last seen were not sealed. And evidence may have been missed that could have revealed where Ben was. Kerry, who says police blamed her family for the disappearance 21 years ago, had just finished work at around 9.50pm when her mum appeared with two police officers. “She was hysterical,” says Kerry. “At first I thought there had been a car accident because there were some lunatic drivers around. Kerry, from Sheffield, clings doggedly to the hope that her son is still alive – but also says she will not block a police dig in Kos. Despite enduring nearly 21 years of fake sightings, she insists she will continue scouring the world for Ben unless someone proves he is dead. The mother of Ben Needham who disappeared during a family holiday in Greece 21 years ago believes her son is still alive, despite new reports he may have been buried by accident after wandering onto a building site. DETECTIVES probing the disappearance of British toddler Ben Needham 21 years ago believe they may have found his grave. They want to examine tons of earth piled up yards from where the 21-month-old vanished on the Greek island of Kos in 1991. And authorities in the country are trying to get British police to provide hi-tech 3D scanners capable of detecting human bones buried beneath rubble. JCB driver Konstantinos Barkas – who was excavating earth for a new house yards away during the hours that Ben went missing – has also been tracked down. Barkas, 61, said: “Yes, I was the man with the JCB that day. Loads of earth was being taken to clear the ground for the new house down the road. * Ben was accidentally buried after wandering off. * Ben was the victim of a fatal accident which someone wanted to hide by placing him in a shallow grave, knowing it would be further covered by tons of earth. * Ben was murdered and buried at the site in the east of the island to conceal the crime. He went missing on July 24, 1991, when his mum Kerry, only 19 at the time, left him with her parents Eddie and Christine while she went to work in a hotel. The couple, from Sheffield, took Ben to a farmhouse owned by Greek friend Michaelis Kypreos. The grandparents were eating lunch when Christine realised Ben had gone quiet while playing outside. They couldn’t find him and police were eventually contacted. Greek cops are increasingly convinced the most likely explanation is that Ben, who would be 23 this year, died on the day he vanished. Detective Chief Inspector Matt Fenwick, of South Yorkshire Police, visited the island last year with a colleague when the case was relaunched. The British team were told about the burial theory, along with other lines of inquiry. A Greek source said: “This idea is a lot more plausible than Ben being abducted.